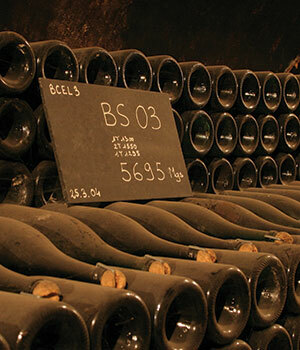 Bollinger produces surely one of Champagne's finest non-vintage wines. Full and fat in style, with wonderful freshness on release and the ability to age magnificently well, adding to its inherent complexity. In addition, Bollinger's vintage offering, their so-called Grande Année, is a superbly well priced vintage wine. Always good value, it takes their full bodied style to another level and, like the NV, it ages superbly well. One step up from this and we get to their RD (recently disgorged). The wine is kept on its leesh for significantly longer, giving a more pronounced autolytic character. Finally, the jewel in the crown of Bollinger's list is their Vielles Vignes Francias. It's made from old pre phylloxera vines and is worth every penny.